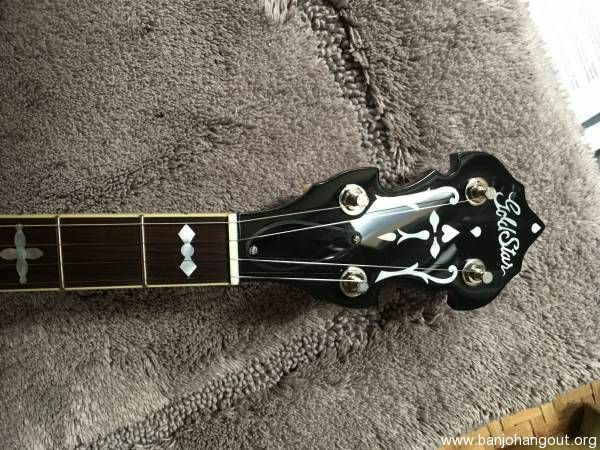 SOLD For Sale: SOLD: Gold Star GF-100JD JD Crowe Banjo - NEW! 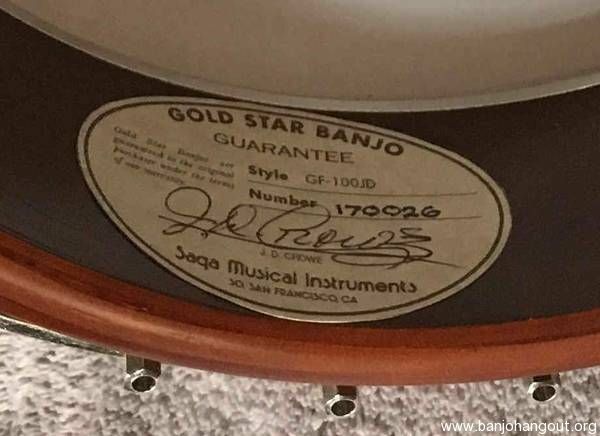 This is a brand new Gold Star GF100-JD banjo from an authorized dealer so comes with full warranty. "In 1980, five musicians went into the Arch Street Studio in Berkeley, CA and Bluegrass recording history was made. “The Bluegrass Album” with Tony Rice, J.D. Crowe, Bobby Hicks, Doyle Lawson and Todd Phillips redefined the direction of the music for the next generation. The banjo pictured on the cover and recorded on the Bluegrass Album was a prewar RB-3 that has been with Saga for more than 30 years. 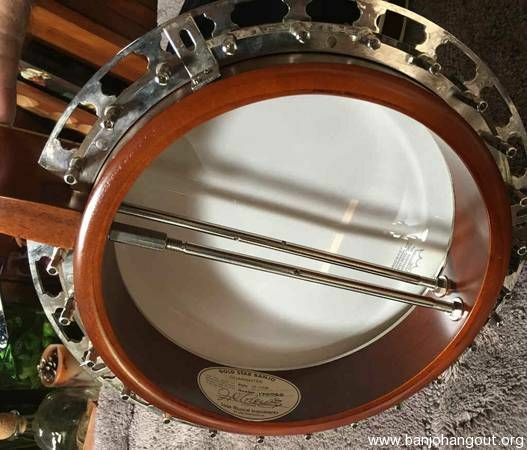 For the past five years, we have charted a course which has finally resulted in the recreation of that legendary banjo…an instrument that produced some of the finest examples of banjo tone that have ever been recorded. Don’t miss your chance to be a part of the continuing tradition." This unit includes the hard case. Saga's suggested retail is $2140 with case exclusive of shipping and PayPal fees. Includes PayPal and Shipping in Continental U.S.
Cash acceptable in person 91942.